Most conventional CV writing methodology has been around for decades. This would be fine if it gave you the best results. 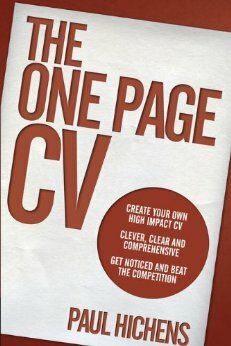 However, as it is flawed, and in many cases counter-productive, it isn’t really to your advantage to apply for competitive jobs with a standard CV written using conventional/traditional CV writing techniques. This is especially the case at executive level where standing out from what is inevitably a high-calibre crowd is essential. We, on the other hand, employ radical new CV writing methods that have been developed in-house by Paul, and which are tried and tested to achieve better results in the executive job market. These techniques are based on real sales and marketing principles and are documented in more detail in Paul’s CV book (published by a top UK career sector publisher). If you want the best results, then you need the best methods and the best writers. And we are the only company to give you both of these things.